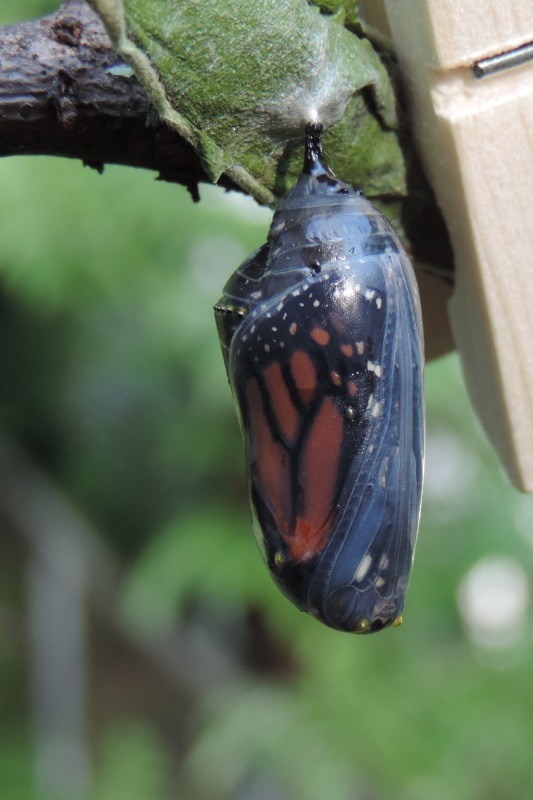 I have been raising Monarch butterflies in my kitchen for years. They do not usually survive if I leave them outside on the milkweed plants in my yard. Success inside is 99%. I released seven in the spring. I had one caterpillar in July this year. Currently (8/18/2017) I have twenty-one caterpillars in my kitchen. These are the butterflies that are heading south. 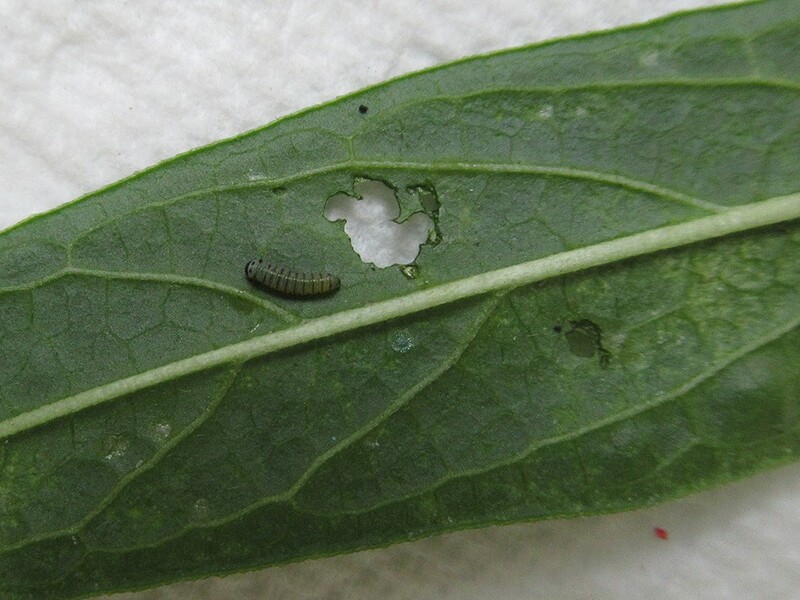 The smaller caterpillars, newly hatched, are more difficult to raise. They do not always seem to know the leaf they are on is drying out, so I cut the leaf and place the caterpillars (with a small piece of their old, dry leaf) onto a fresh leaf. The larger ones need no help finding a leaf. I clean out the jar daily. I have five types of milkweed plants in my yard. 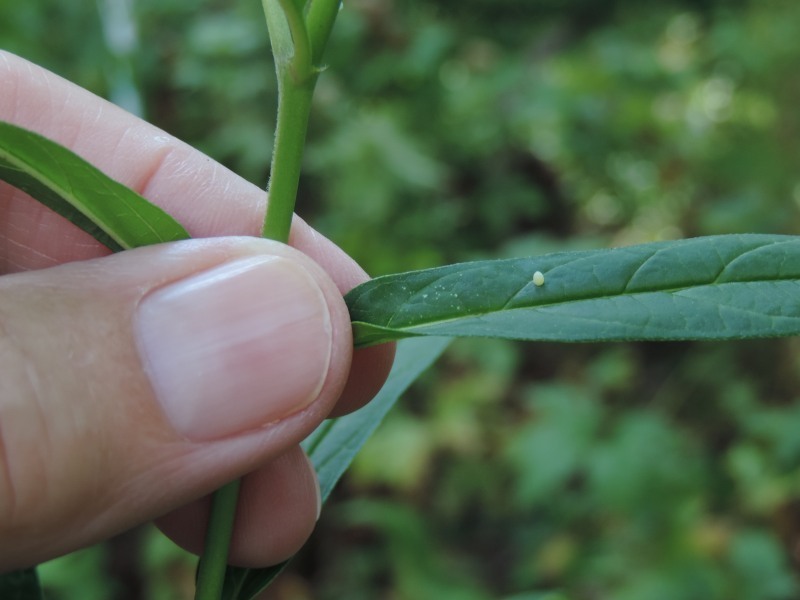 This year I have had more eggs on the marsh (swamp) milkweed (Asclepias incarnata). Last year it was the Common milkweed (Asclepias syriaca) she left her eggs on. 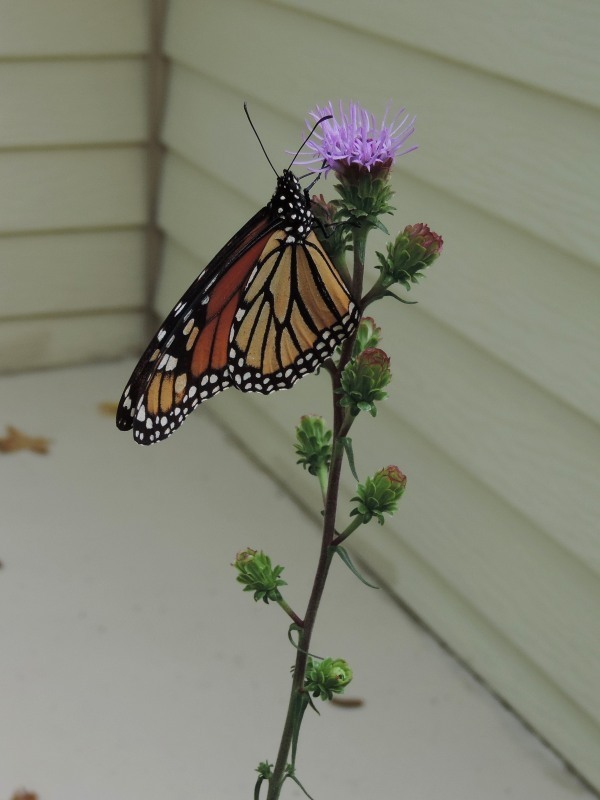 In the late summer, in my yard the monarch butterflies seem to like to feed on the blazing star (Liatris scariosa) flowers. There have been butterflies here daily for the last two weeks. 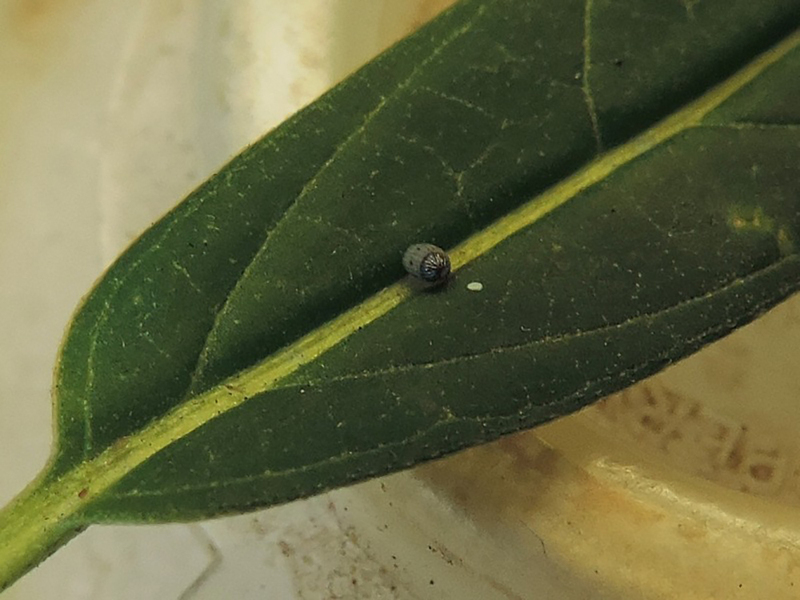 The photos show the leaves of the marsh (swamp) milkweed: the tiny egg on the leaf, the egg turning dark right before the caterpillar chews its way out of the egg, and the hole the caterpillar chews through the leaf. 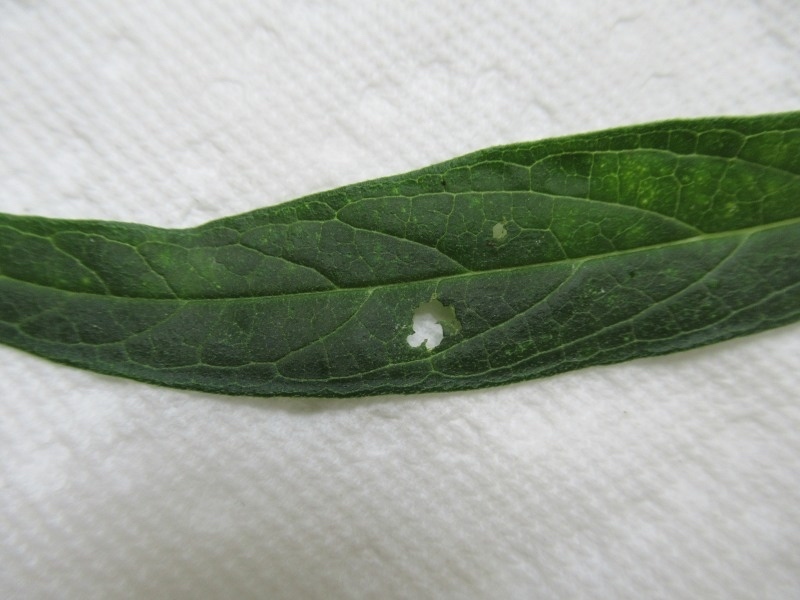 When you see this hole in a milkweed plant leaf turn it over to see if there is a caterpillar underneath. I hope we are helping the monarchs recover. 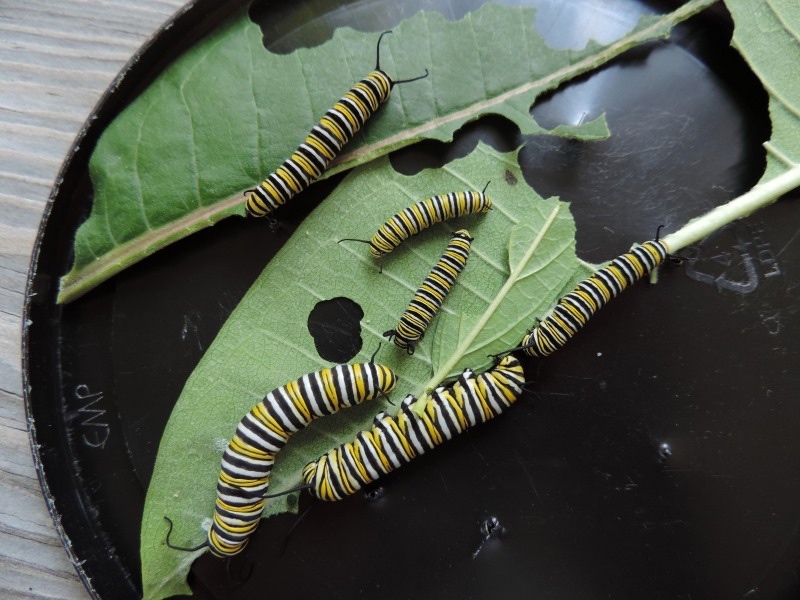 -Story contributed by Kathy B. through Milkweeds for Monarchs: The St. Louis Butterfly Project, a program of the City of St. Louis Mayor's Office.